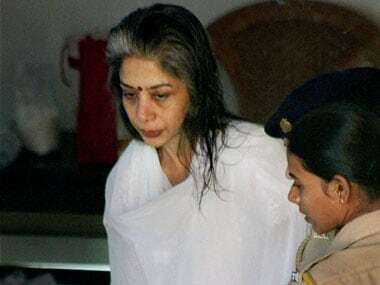 Mumbai: Sheena Bora murder case accused Indrani Mukerjea on Thursday filed a complaint with police alleging that she was beaten up by Byculla Prison officials even as her medical examination found that she had "received some injuries." The 44-year-old former media executive, booked for rioting in the women's prison along with other inmates, was on Wednesday given permission by a special CBI court to lodge her complaint with the city police after undergoing a medical examination in a hospital here. Following the court's direction, Indrani went to the Nagpada police station at around 12.30 am and submitted a written application, a senior police officer said. In her complaint, she also alleged that she was hurt when the prison officials cane-charged the inmates after they gathered to vent their anger at the death of a fellow-inmate, the officer said. 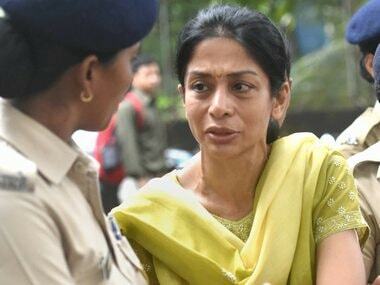 Indrani was among nearly 200 inmates of the Byculla Jail booked by Nagpada police for rioting and other offences after they staged a protest over the death of a convict, Manju Govind Shette (45). Shette died at the government-run J J Hospital on 23 June after allegedly being beaten up by a woman official of the jail. On 24 June, enraged women inmates rose in protest, some of them went up to the prison's roof, while others made a bonfire of newspapers and documents inside the premises to express their anger, a police official said. In her plea to the court, Indrani had alleged that she was beaten up and threatened of sexual assault by the jail officials for joining a protest in the prison. She was produced in the court on Thursday after she moved an application. Considering her plea, special CBI judge J C Jagdale said Indrani be first taken for a medical examination and later to the Nagpada police station in the city to file her complaint. Indrani had told the court that she was threatened and assaulted after she said that she would give a statement (in connection with the case) to a magistrate under section 164 CrPC, which unlike a police statement is admissible in court. Indrani said she had witnessed the prisoner being allegedly assaulted and when enquired about Manju's health she was told that she was fine but later learnt that she passed away. 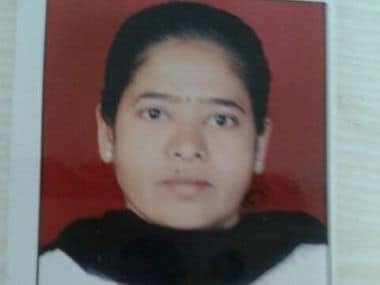 She said that after a case was registered in connection with Manju's death, she came forward as as a witness and told the jail officials about that. "I was hit on the hand and legs... I can barely walk," Indrani alleged. She said the superintendent threatened her, saying "We will do the same thing that we did to Manju". A senior medical officer of the state-run J J Hospital said today that Indrani's allegation of being beaten up by the prison officials appears to be true. "Indrani has received some blunt injuries and other (injuries) as well. Her claims of being beaten up appear to be true as per our check-up," a medical officer of the hospital, where Indrani's medical examination was conducted, told PTI on condition of anonymity. "It (Indrani's medical report) will be submitted in court, as the medical check-up was ordered by the court," the officer said. In a related development, the state women's commission summoned the prison authorities on Shette's death. State police's Deputy Inspector General (Prisons) Swati Sathe on Thursday appeared before the commission Chairperson, Vijaya Rahatkar, at the panel's office in suburban Bandra. A prison department official said they will submit a sealed report to the women's commission on the incident and the action taken against the jail staff in connection with Shette's death. The case has been handed over to the crime branch. The Byculla jail, located in the heart of the city, has around 251 inmates lodged there. The police had earlier said Manju, whose death sparked protest in the prison and a stick was inserted into her private parts.